Mr.Ruiz-Rodríguez has over 35 years of experience in the practice of law, focusing his practice on corporate tax, employee benefits, estate and gift taxation, excise, individual and personal property taxes, tax audits, and tax litigation. During his career, he has advised some of the largest local and U.S. employers in Puerto Rico in the manufacturing, financial and retail sectors. 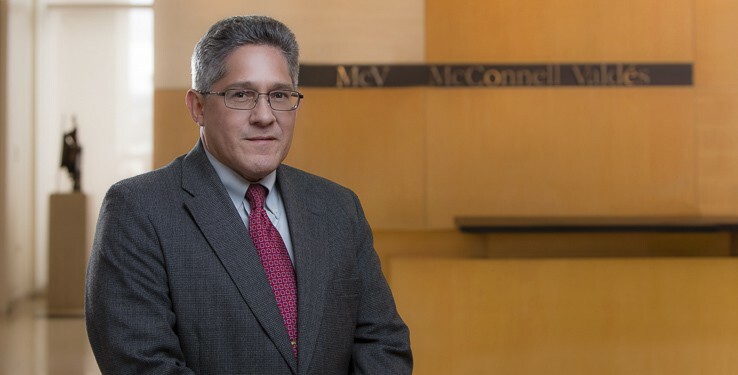 Prior to re-joining McConnell Valdés in 2013, where he worked as a Tax Associate from 1983 to 1984, Mr.Ruiz-Rodríguez led the Tax Department at Martínez, Odell & Calabria for over a decade. His practice included advising clients in all areas of Puerto Rico tax law as well as in the designing and drafting of employee benefits plans; their qualification in Puerto Rico; and the handling of operational and claims issues arising under Puerto Rico and Federal law. He served as Judicial Clerk for Judge W.H. Beckerleg, of the U.S. Bankruptcy Court for the District of Puerto Rico from 1980 to 1982.